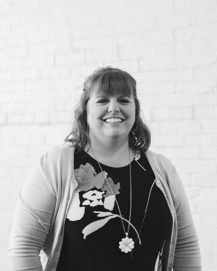 A native of Indianapolis, Melissa Thompson offers extensive experience in event and logistics planning and public space management to the clients of Hathaway Strategies, a innovative public and government affairs firm in Indianapolis. 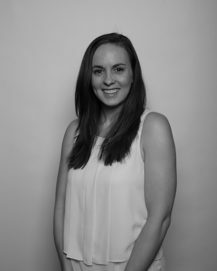 Prior to joining Hathaway Strategies, Melissa was responsible for overseeing the completion of the construction of Georgia Street, the renowned downtown Indianapolis outdoor event venue, and has also occupied various roles for the City of Indianapolis. Beginning in 1999, she served in the Marion County Auditor’s Office and the Prosecutor’s Office before becoming Clerk of the City-County Council from 2008-2011. As a result, Melissa has worked closely with neighborhood groups across the city, scheduling public forums and one-on-one meetings with Councillors. Melissa first learned about human trafficking while attending a Purchased event almost 7 years ago. Since that time, she has been involved with the leadership team and just recently transitioned to the board. Melissa is also the Republican Township Chair for Washington Township and just happens to be an avid flag football player and runner. Kathleen was born and raised here in Indianapolis and is a graduate of Lawrence Central High School. She continued her education in Interior Architectural Design at Purdue University. 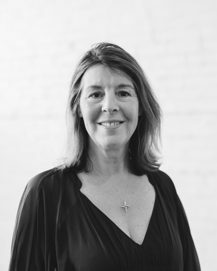 Currently Kathleen is an Associate Principal at Axis Architecture + Interiors. 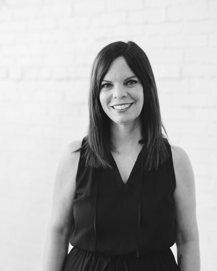 Before Axis, Kathleen co-founded and oversaw an interior design studio for 8 years. She and her husband have two children, one in high school at Cathedral and the other at Shortridge. Kathleen is passionate about bringing awareness to the realities of human trafficking and is excited to work alongside Purchased and help make a difference in fundraising, outreach, and being an active member in the organization’s work. Mona's spark for supporting human rights abuses started in 2005 with a project in Phnom Penh, Cambodia. As part a leadership development project with PwC (PricewaterhouseCoopers), she helped a not-for-profit called Hagar with a sustainability project in Cambodia. She later served on Hagar's US Board. Mona's 25-year career at PwC provided the opportunity to live abroad with her husband in Sao Paulo, Brazil for 3.5 years, and to travel globally serving her clients. She spent her career as a forensic accountant helping boards and executives deal with a range of compliance risks and threats including internal fraud and corruption. She excels at dealing with crises and is a problem solver. After retiring from the PwC partnership in 2017, Mona returned to Indiana and has a portfolio of interests ranging including faith, family, philanthropy, photography, international travel and serving as a university adjunct teaching a grad course called Financial Investigations. She is excited about her post-retirement chapter and new challenges. Ed Lee, PT, MBA, CPHQ, Executive Director of Operations and Alternative Payment Models, IU Health Orthopedics & Sports Medicine Service Line Ed Lee currently serves as the Executive Director of Operations and Alternative Payment Models for the Orthopedic & Sports Medicine service line at IU Health. In this role, Ed is tasked with preparing the orthopedic programs throughout the 17 hospital system to thrive under commercial and government sponsored alternative payment models. Prior to this, Ed served in various operational and quality management roles at Advantage Health Solutions (Indianapolis, IN) , St. Vincent Hospital (Indianapolis, IN), and Westview Hospital (Indianapolis, IN). After graduating from Queen's University at Kingston (Ontario, Canada), Ed began his career as a licensed physical therapist in St. John’s, Newfoundland, Canada. In 2008, Ed completed his MBA from New York Institute of Technology while also obtaining the Certified Professional in Healthcare Quality (CPHQ) credential. Ed lives in Brownsburg, Indiana, and with his wife Melissa, are enjoying the adventures of being parents to their son (Robert). Brett is a graphic designer with a passion for using art to ignite change. After graduating from the University of Illinois in 2012 and working as a freelance designer, he moved to Indiana in 2015. 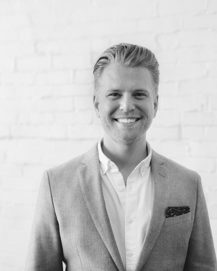 Brett has since started a creative agency, Water High Creative, and serves as the Owner and Principle Designer. He has volunteered with Purchased for three years and is excited to further the organization’s reach every day. Brett believes that by being every day people we can make the world a better place. In his free time, Brett enjoys playing drums and piano, spending time outside, and playing with his two goofy dogs. Laurie Schneider is a seasoned marketer who has worked with clients across a wide breadth of industries and markets. For nearly 15 years, Laurie has worked diligently with her clients to launch strategic national marketing campaigns for clients like JPMorgan Chase, Microsoft, Procter & Gamble, Xbox, Mecum, Simon Property Group, Old National Bank and more. Laurie is best known for her ability to bring together diverse groups of teams to accomplish amazing things for her client’s business. Its this love of collaboration that moved Laurie to co-found local coworking space The Hatch, a space to bring individuals and companies together, to be inspired by one another and to follow passions both professionally and personally. Laurie is a native of Indianapolis Indiana. Laurie became passionate about human trafficking after attending an event where issues around human trafficking were discussed. As a mom to a young daughter, Laurie felt a calling to join Purchased and support the organizations mission toward prevention and re-assimilation. Dustin Waybright was introduced to Purchased as a donor in 2017. A key mission of Purchased being to educate, it was through Purchased that he learned about the plight of human trafficking in Indianapolis and that young women and girls are often victimized right in their home and community. After attending several Purchased events and becoming a regular supporter of the organization, Dustin was invited to join the board in 2018. In addition to his passion for philanthropy, Dustin is a career professional. He holds an MBA from Xavier University and is currently director of technology solutions for data and artificial intelligence at Microsoft. 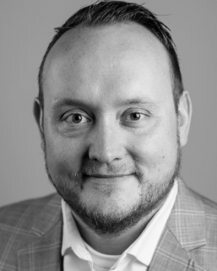 There he leads digital transformation efforts at leading enterprise companies in Indiana and across the great lakes region. Dustin spends his time outside of work and charity with his wife Jackie and two daughters, as well as relaxing with friends.